While there has been a revival of numerology and gematria to some extent, I think few people understand the relationship of numbers and letters, words, and phrases. Yet in many ancient documents such as the Bible and the Upanishads, the numeric value of a word or phrase was often more significant than the literal meaning of the words. This, unfortunately, is something totally lost in recent translations of the Bible. The academics doing the translating are experts in the literal meaning of words, but not their numeric value. The resulting translations are therefore seriously flawed. They turn meaningful rules like “Thou shalt not kill,” into “Thou shalt not murder,” because they didn’t understand that the person writing the ancient Greek version was choosing his words based on their numeric value rather than simply on literal meaning. Even the flawed material universe still follows Divine Proportion most of the time. The relationship of numbers and letters matters here as elsewhere. If it didn’t it would quickly fall apart. The ancients knew about divine proportion and used it in almost everything. The rules of music, art, architecture, and even the proportions of a vase or jar followed those rules whenever possible. They understood that a harmonious world is a peaceful one. On the other hand, it’s a safe bet that when you find a people who are angry, argumentative, always at war, etc. they do not follow divine proportion and sacred numbers in their arts and sciences. Plato said that words are tools. This is certainly true. He also says that like other tools, the making of them should be left to the appropriate craftspeople. This is a rule that is not followed at all today. In fact, it is practically the opposite. Today, some teenagers start using a nonsense word they made up like a password to an exclusive club. The parents don’t know what they are talking about. That makes the new word cool. Other teens start using it. Before long, some writers are using it. Now it gets added to the dictionary. This is not a theory, it is happening. Words recently added include Tweep, frenemy, Grrrl, Bae and so on. About eighty percent of the new words started out as teen code. Needless to say, these words are not being made by skilled craftsmen and are not following the rules of Gematria, the study of The relationship of numbers and letters. 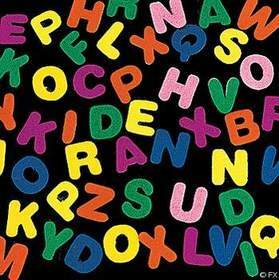 Words and numbers are the primary way we communicate, at least to the physical brain-mind. Care should be taking to creating and using them properly. In recent years, some groups have taken a simplistic approach to this and declared any digit that is repeated three or more times as mystical and magical. So “333,” “444,” and especially “111” are considered “angel numbers”. I find little evidence in ancient gematria or numerology to back that up. The only exceptions are “666,” and “888,” which do have special meaning, now and in ancient times. While working on this post, I found an interesting web sit that will show the numeric value of words and names and a list of other words that have the same numeric value. I found that some of the words that have the same number as my first name Harold, are: Angels, Indigo Child, and Flamingo. Try entering your name.